CRAPTASTIC: Five Feature Friday #25! Another Friday gone already! I'll be back later this week with my curio cabinet makeover! 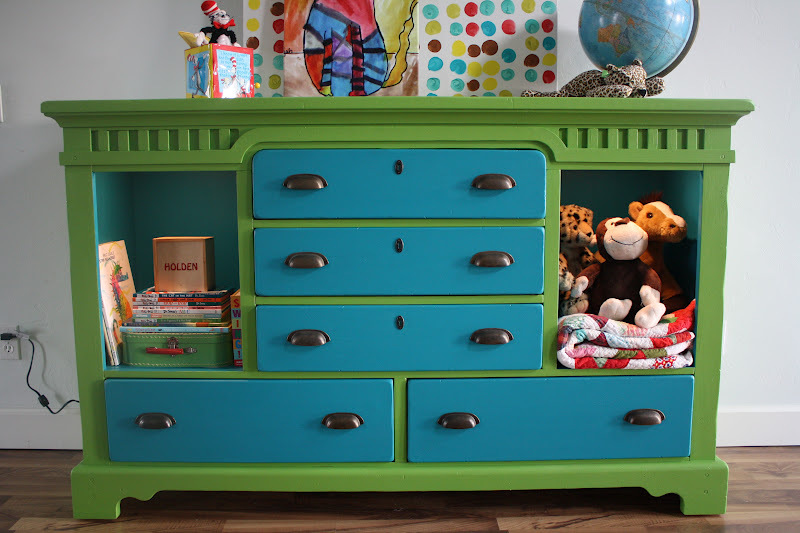 I'm in love with this vibrant dresser revamp from The Turquoise Iris. Sophia's made over these adorable end tables! Folksy Home really brightened up these boring chairs with fun paint and coffee sacks! Love this amazing stenciled dresser from Comfortably Carried Away! Johnnie's Junk made over this bookcase into a rustic beauty! Feel free to grab a button if you were featured! i look forward to your friday five every week! you always share awesome projects- i had only seen one of them so i am off to visit the others! Wow. I love the chairs! I have some that look very similar...I may have to go buy some paint! I love the bookcase also! Happy to be among all those other great pieces of furniture! I seriously love every single feature! Amazing stuff!! I love that green and blue dresser! Thanks so much for featuring my nightstands! I love your blog!